Business Cards, Brochures, Outdoor Signage – All The Graphic Design! 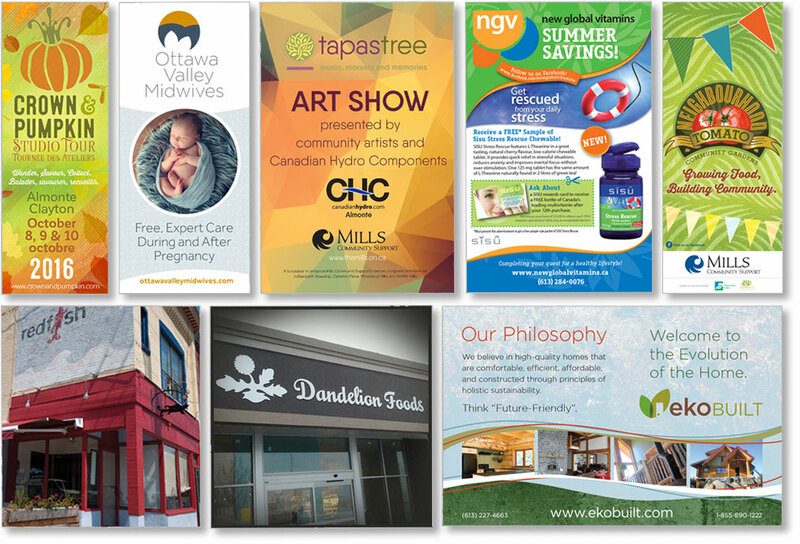 Do you know that we cover all your Ottawa graphic design needs? It’s true! We do! A variety of business cards designed at Sumack Loft. Click to enlarge. Your logo is the cornerstone of your brand. 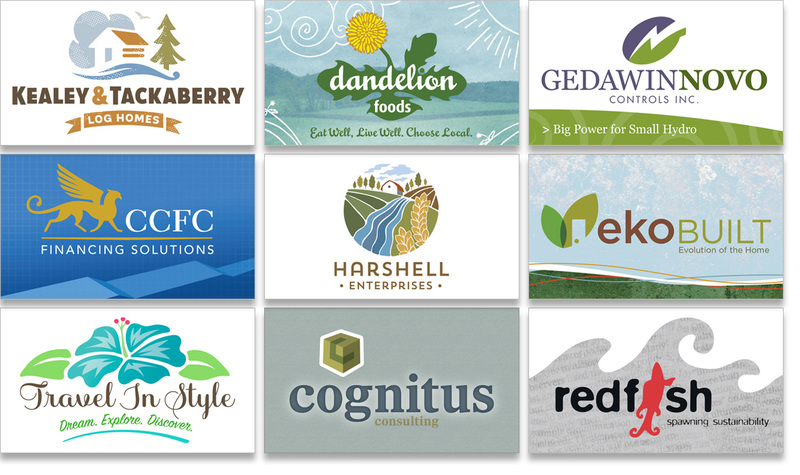 I post a LOT about logo design, but as you probably know, a logo is the cornerstone of your brand and, as such, the base for all your marketing and promotional materials. 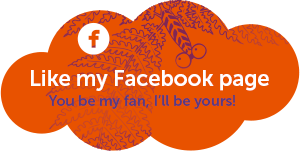 There are other vital components to a well-rounded brand; your website of course, and I post pretty frequently about that aspect as well. But there’s more to it than that. Branding should trickle down to every contact you have with your clientele. You need your business card design to look great, along with your brochure design, any poster design you produce, and your indoor and outdoor signage. These materials all need to project the same powerful message to your existing and potential customers. The message behind your brand. YOUR message. Make sure you’re conveying a powerful first impression. I know your local printer will design a business card for you and that it’s included in the cost of the printing, but you know the old adage, you get what you pay for! If you have your graphic designer do it for you, it can be one of the most powerful marketing tools you have! Good design can ensure that people take a second look at your card, and your business. Make sure you’re conveying a powerful first impression with a targeted and compelling visual identity. A variety of brochures and signage designed at Sumack Loft. Click to enlarge. Same goes for all your brand materials: your website, your brochure, your signage. That’s the whole point of branding – you only get a couple of seconds to capture a potential client’s attention. Make it count! Here at Sumack Loft, we go the extra mile – or would that be kilometre? – to make sure your brand is strong, compelling, and perfectly integrated; starting with your logo, and continuing through every piece of your branding materials. We make your company shine at every angle! We’re experienced and have a proven record of success at designing effective and productive brand materials. Does your company need a facelift? Connect with us today!